As a new dad, Victoria resident Eric Swanson is committed to helping the planet by driving an electric vehicle, reducing waste and buying ethically-produced clothes. But Swanson, 36, realized he could do more after discovering the pollution he was creating by doing his laundry. 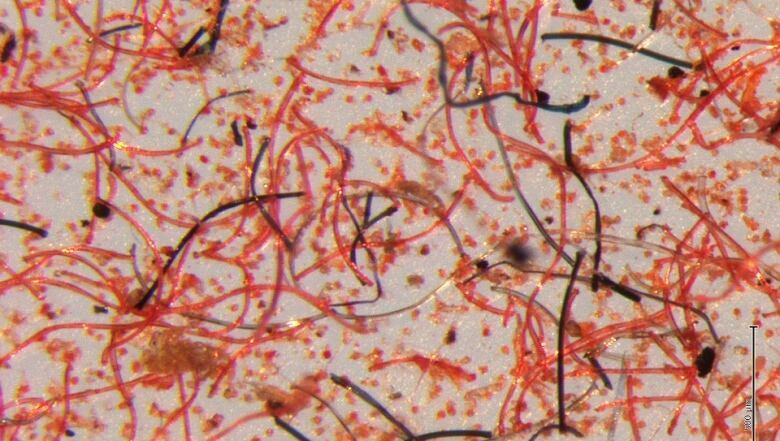 Recently, he came upon what scientists in Vancouver and other parts of the the world have known since at least 2014: that micro-fibres from textiles — those measuring five millimetres in size or smaller — are passing through washing machines, water treatment plants and into the ocean, where aquatic creatures are eating them. Learning that bothered Swanson, who has a four-month old daughter with his wife. "I just didn't like the idea that every time I was washing my clothes, unseen pollution was entering the ocean," he said. 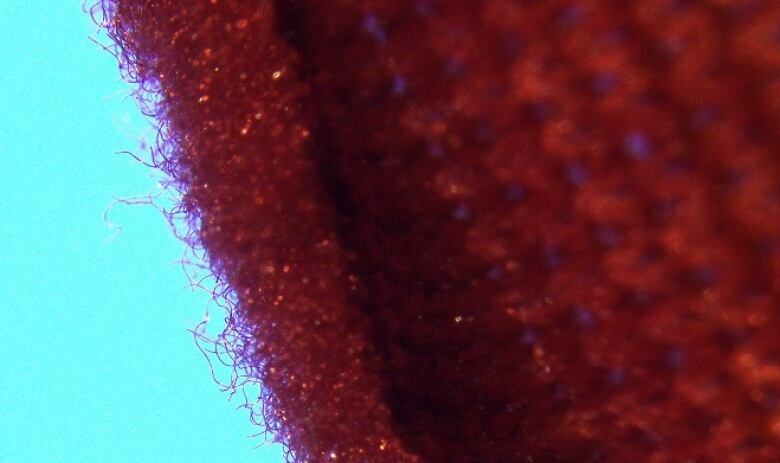 When clothing — such as a polyester fleece sweater for example — gets washed, some of its fibres break off. Scientists at the Vancouver Aquarium say up to 10 million fibres from that one sweater can pass through the washing machine and beyond. The scientists say 30 billion of the fibres pass through one water treatment plant in Vancouver alone each year and into the ocean. Swanson decided to do something about the problem beyond wearing natural fibres like organic cotton or wool. First, he bought a bag made by a German company that he could put certain clothing items in during a wash cycle to prevent fibres from breaking off and floating free. Recently he installed a special filter on his washing machine to capture fibres. Still, he admits he is an outlier when it comes to doing something about micro-fibre pollution from clothing. "Climate change is the biggest thing I talk about with a lot of my friends," he said, "I don't know many others that this is top of mind for them." 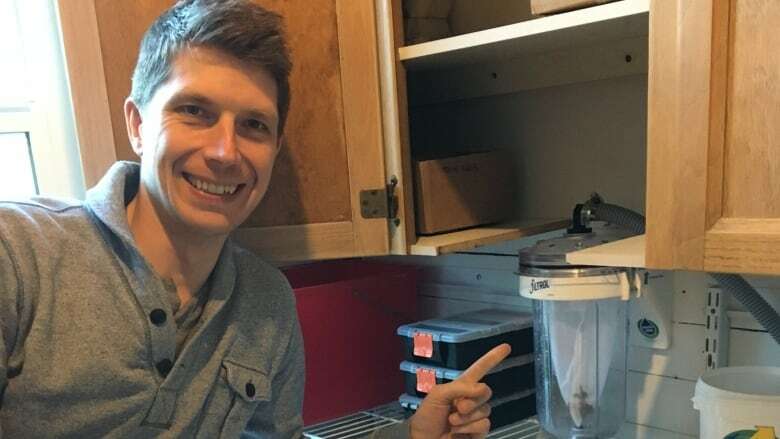 Ocean pollution scientist Peter Ross, who works at the Vancouver Aquarium, hopes more people will take action around the issue. "We can virtually say with confidence that every species in the ocean is eating plastic," Ross said. "It's certainly alarming, but a lot of questions remain about what this means for aquatic life and where these things are coming from." Ross is conducting studies with garment manufacturers and retailers such as Patagonia, Arc'teryx, and MEC to try in figure out what type of fabrics breakdown and shed fibres the most. Results are expected by this winter. In the meantime, Ross doesn't want people avoiding certain clothes. For example, he still wears polyester fleece sweaters, but less than in the past, and he tries not to wash them often. At the University of Alberta, Rachel MacQueen, a professor of human ecology, studies textiles and odour. MacQueen made headlines with a student who wore the same pair of denim jeans for 15 months without washing them. They discovered the level of bacteria in the jeans was more or less the same after wearing them for two weeks. She says reducing the frequency of washing can be safe for most people and helps preserve clothes like jeans. But synthetic fibres, such as polyester, end up smelling more than cotton or wool because of the way they repel water. "With natural fibres we don't see the same quality of odour or the same build up of odour," she said. She and Ross say that other polyester garments, such as tightly woven athletic shirts, don't appear to break down as readily as fleece material when washed.